MOTHER OF ALL PNP SCAMS: Officials have uncovered a potential mother of all scams in the Philippine National Police involving "ghost pensioners" running away with more than P1 billion of the PNP's funds over the past five years. Interior Secretary Jesse M. Robredo said the scam was worth between P200 and P250 million every year since 2006. Robredo said that some 2,000 of these ghost retireesmostly fake names inputted into the pensions databasehad been stricken off the list of 58,000 pensioners. "These are not retired policemen. In fact, many are not even police officers. They're just fake names. They're not even names of dead police officerswhich comprise 75 percent of the pensioners," Robredo said. CONGRESSMAN URGES OUTGOING CUSTOMS CHIEF TO NAME SMUGGLERS: A party-list congressman urged yesterday outgoing Customs Commissioner Angelito Alvarez to identify the smugglers who have allegedly conspired to oust him. Rep. Shewin Tugna of the party-list group Citizens Battle Against Corruption (CIBAC) said as early as three months ago, there were speculations that Alvarez would be replaced despite his good work in raising the revenue of the Bureau of Customs (BOC). "If Commissioner Alvarez's insinuations are true that corruption in the BOC did him in, then it is a day of mourning for CIBAC, now that Alvarez has been unceremoniously fired by the President," he said. Tugna said Alvarez should identify the smugglers. SENATOR DEFENDS OUSTED CUSTOMS CHIEF: In a surprising turn, Sen. Panfilo Lacson came to the defense of the embattled Angelito Alvarez. Lacson said that Alvarez, the Bureau of Customs commissioner, was on the right track in getting rid of allegedly institutionalized corruption in the BOC when he was supposedly fired by President Benigno Aquino 3rd... "It is unfortunate that Commissioner Angelito Alvarez is being given the boot at this time. He has barely started the reforms that the BOC badly needs. He knows his job very well and has been trying his darned best to correct the institutionalized corruption in the bureau," Lacson said. Alvarez's replacement should rid the BOC of such corruption, added the senator, a perceived ally of the President. Lacson said that it was Alvarez who discovered and exposed the case of the missing container vans, including the syndicates' use of the transshipment process to avoid paying Customs duties and taxes. Under the transshipment process, a cargo from abroad is unloaded at a port and picked up by another ship for its final destination, which is not the Philippines. Citing information reaching him, Lacson said those engaged in corruption at the BOC meet every Friday to divide the spoils from their rackets. COA UNCOVERS P800m MESS IN MAGUINDANAO TRANSACTIONS: The Commission on Audit has uncovered more than P800 million worth of questionable transactions during the reign of former governor Andal Ampatuan Sr. in Maguindanao province. A special COA study on Maguindanao, covering the period January 2008 to September 2009, showed that P865.887 million worth of transactions could be fictitious since they were supported by spurious documents, or the supposed suppliers denied participating in them. The COA also raised its eyebrows on the P28.241 million worth of fuel purchases, saying their validity is questionable for a host of reasons. ANTI-CORRUPTION MEASURES IN WORLD BANK PROJECTS: Forensic audits and technical training designed to thwart corruption in World Bank-financed projects, including some in the Philippines, "are achieving results," according to the bank's ranking anti-corruption official..."We presently focus on high-risk projects and sectors based on information arising from complaints, our own due diligence, and other law enforcement agencies," WB vice president Leonard McCarthy said. PALACE TO GENERALS:FACE HOUSE PROBE >>> Malacañang on Saturday told the retired generals who figured in the "Hello Garci" recordings to attend the proposed House inquiry into alleged military involvement in election cheating in 2004if they want to clear their names. Deputy Presidential Spokesperson Abigail Valte said the Palace also would not stop Congress from summoning active officers to testify in the congressional probe, which would touch on the reported failure of a military commission headed by then Vice Admiral Mateo Mayuga to follow up leads on the involvement of some officers in electoral fraud. Ghost repair of PNP's armored carriers cost government P400 million: The Philippine National Police (PNP) may have another corruption issue in its hands with the discovery of almost P400 million in expenses for the repair of 28 V-150 armored personnel carriers (APCs). Documents obtained by The STAR show that the PNP paid P141,995,064 for spare parts and P255,589,000 for repair and maintenance of the APCs. The cost of the repairs was three times higher than the P104.9 million spent for the purchase of three helicopters, two of which were passed off as brand new. The cost of repairs is also enough to buy 13 brand new, US-made APCs at P30 million each. COA COMMISSIONER HEIDI MENDOZA RECEIVES "MODERN DAY FILIPINO HERO" AWARD: Yahoo! 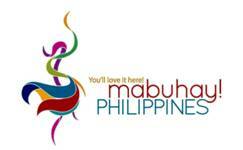 Southeast Asia recognized seven modern day Filipino heroes at the Yahoo! Pitong Pinoy Awards held at the Global City on Friday, in time for the National Heroes Day on August 28. Country Editor for Yahoo! Philippines Erwin Oliva said that the criteria used for choosing the 7 awardees were their inventiveness, their being innovative and most importantly, their strong impact on the community...Heidi Mendoza is the whistleblower who exposed the corrupt activities of Armed Forces of the Philippines officials. Mendoza recounted the difficulties she faced after making the decision, from poison letters designed to discredit her to gaining back her children's affection. "I wanted to raise and gain back respect for ordinary government officials," Mendoza said...This is the first initiative by Yahoo! to inspire national pride among Filipinos and to acknowledge the contributions of each inspiring individual through volunteer and advocacy work. COA CASES STILL PENDING WITH OMBUDSMAN: Commission on Audit Chairperson Ma. Gracia Pulido-Tan expressed disappointment at the long overdue cases still pending with the Ombudsman. "I'm impatient, so I am concentrating on pressuring them," Ms. Tan said at a financial executives' forum. The cases she was referring to were the 34 cases raised to the Ombudsman during her term, which she said, "have seen no progress."... "Part of the exercise is to closely coordinate with the Ombudsman. 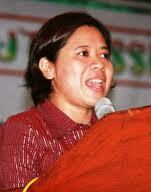 We are the whistle-blower and the Ombudsman would be the one to handle the case," Ms. Tan said. "We want to improve the number of resolved graft and corruption cases," The CoA is mandated as the chief regulator on accounting and audit functions. If the agency finds anomalous activities in its audit, the CoA raises the case to the Ombudsman for prosecution. Criminal Investigation and Detection Group to file raps vs cops, firms in choppers mess: The CIDG said it will file next week criminal and administrative charges before the Office of the Ombudsman against personnel of the Philippine National Police (PNP) involved in the choppers mess...among the civilians that may be charged regarding the issue are Lionair president Archibald Po and Manila Aerospace Trading Corporation...fact-finding committee had already recommended the filing of charges against 27 PNP officers from the committees on bids and awards, negotiation, inspection, and acceptance. MISSING CONAINER VAN RAPS FILED: The Bureau of Customs filed before the Department of Justice smuggling charges against the suspects behind the alleged smuggling of 1,910 cargo vans that supposedly defrauded government of P240 million in potential revenues. The cargo vans, which contained general merchandise, were supposed to be brought from the Port of Manila to the Batangas Port between May and June this year. But to date, the vans remain unaccounted for. PNP EXPERT PRESSURED: A questioned documents' expert of the Philippine National Police (PNP) today admitted that "pressure" forced her to release an examination result that shows the Jose Pidal signatures were similar with the signatures provided by Negros Occidental Rep. Ignacio "Iggy" Arroyo in 2003..."The pressure came from General Mosqueda, who was always in our office throughout the examination until we created a report [on the Jose Pidal signatures' examination]"
Fight over project funds behind Kidapawan blasts, says governor...this was the confession of one of the two bomb couriers before he died from shrapnel wounds following the August 12 explosion outside the NIA office in Barangay Amas here. An earlier bombing occurred outside the COA office last June...the governor noted that the explosions came at a time the government was seeking P6.2 billion in fresh funds for the Malitubog-Maridagao or Malmar project. She said corruption in the irrigation project was the same reason she sought an investigation in 2003 when she was still a congressman. CoA: DBP audit not complete or conclusive >>> CoA Chairperson Grace Tan said that the agency's audit on the Development Bank of the Philippines would not be conclusive until the management has given its side on the issue. She added that the CoA was still in the process of auditing questioned transactions on the government's buyback of the Metro Railway Transit 3. The MRT 3 buyback, which also involved the DBP and Land Bank of the Philippines, was also among the transactions undertaken during the Arroyo administration that are now being questioned...Tan has vowed to audit government institutions based on merits and the governing laws. "We should not allow ourselves to be politicized." …“A number of other cases have been languishing in the courts because of apparent medical continuances,” the report continues. PHILIPPINE PUBLIC TRANSPARENCY PROJECT ENDS: The PPTRP trained community leaders and journalists in public finance and budget, set up local transparency watchdog groups and blogs, and conducted surveys on local government accountability. Yesterday the project came to a close with four allies sharing their views. Senator Teofisto Guingona III said that as head of the Blue Ribbon Committee he sees more than ever the need for a Freedom of Information Act. Such law would force state offices to divulge what they are up to, like the Ombudsman's secret plea-bargaining in 2010 with plunderer Gen. Carlos Garcia. Interior Secretary Jesse Robredo cited the importance of websites of local and national agency purchases and projects. Upon putting up one last year, a firearms dealer immediately noticed that the police was buying M-16 rifles at P140,000 apiece, when another agency had bought the same from him for only P93,000. ZTE scam whistleblower Jun Lozada recounted the difficulties and dangers that truth-tellers face: lost income, disrupted family life, death threats...Gracia Pulido-Tan, Commission on Audit chairwoman, told of a Citizens Participatory Audit in partnership with civil society. Not only COA auditors but also ordinary citizens can report financial shenanigans through e-mail citizensdesk@coa.gov.ph or mobile (0915) 5391957. PHILIPPINES TELECOMMUNICATIONS IN ARREARS SINCE 1993, NOW OWE P429M: Government lawyers asked the Sandiganbayan to order the Philippine Telecommunications Investment Corp. (PTIC) to remit P429.14 million in dividends and other earnings which the Commission on Audit said PTIC "willfully withheld" from the national treasury. Some of the PTIC arrears dates to as far back as 1993, stemming from government control of 111,415 PTIC shares through the Philippine Commission on Good Government (PCGG). CUSTOMS ONION BUST: Red onions, P2.5 million worth loaded in three container vans and declared as pickles and juice in an attempt to smuggle them into the country, were intercepted following a tip from an informant...the latest in a series of attempts over the past several months to smuggle thousands of kilos of onions from China to the Philippines. "Iggy faces tax evasion, graft, perjury raps"
Negros Occidental Rep. Ignacio “Iggy” Arroyo can be charged in court and probably hauled to jail for tax evasion, the head of the Senate’s anti-graft body today said. Sen. Teofisto Guingona III, chairman of the Senate Blue Ribbon Committee, said in a television interview that Iggy Arroyo may be charged with tax evasion based on the testimony of his alleged bookkeeper Rowena del Rosario. Del Rosario told the committee’s hearing yesterday that the Arroyo-owned company LTA Inc. leased the Robinson Raven helicopters, which the congressman earlier said was owned by Archibald Po’s Lionair Inc., not his brother, former first gentleman Jose Miguel “Mike” Arroyo. 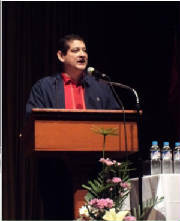 Guingona said that based on Del Rosario’s testimony, the LTA Inc. paid P18 million, in cash, from 2004 to 2011 for the maintenance of five Robinson Raven helicopters. Aside from tax evasion, Guingona said that Iggy Arroyo and his brother, Mike, can also be charged with perjury and graft. He said the Arroyos are liable for perjury for submitting a bogus lease agreement and for making false claims on the PNP choppers deal scam. “Anti-graft... When you fool the government and you fool the people of the Philippines, when you enter into a contract which is manifestly unjust to the government, then you go to jail,” he said. Negros Occidental Rep. Ignacio “Iggy” Arroyo copied the signature of “Jose Pidal” right inside the Philippine National Police Crime Laboratory and later submitted his signature specimen in 2003 to the Senate blue ribbon committee to save his elder brother, Mike Arroyo. Lacson, who exposed the Jose Pidal accounts, said in a privilege speech eight years ago that Mike, husband of then President Gloria Macapagal-Arroyo, used the secret accounts for money laundering. The senator accused Mike of amassing more than P200 million from campaign contributions for his wife and putting the money in the accounts. Legislative War Declared On Abusive GOCCs – Will It Succeed? MagDegamo Ta: Legitimate Program or Political Profiteering? Can the Aquino Government Fully Cap Abusive Spending by Government Officials? Solicitor General urges Sandiganbayan to resolve 2 year old motion for reconsideration over dismissal of one of eight coconut levy fund cases involving government claim for P13.59 billion in damages. Justice Secretary defendS state prosecutors who recommended filing of criminal case against alleged leaders of car theft syndicate accused of abducting and killing car dealer Emerson Lozano. Management of Philippine National Police described as "a mess" by US embassy, according to leaked long descriptive diplomatic 2005 cable published by WikiLeaks. Globe Asiatique owner faces life term for syndicated estafa arising from allegedly anomalous loans amounting to more than P6.65 billion granted by Home Development Mutual Fund, to "ghost borrowers"
Sen. Panfilo Lacson identifies former Philippine National Police chief as "missing link" in sale to PNP of secondhand choppers allegedly owned by Mike Arroyo. "Arroyo game plan is to pin Iggy on chopper scam"
Many other unethical and dishonest practices are set out in some detail in the four-volume COA report. But what sticks out most prominently was how the Ampatuans and their cohorts in the ARMM, and especially in their home province, operated outside any government accounting rules concerning the use of public funds. But then given how they helped then President Gloria Macapagal-Arroyo to secure the election results she wanted, they must have helped themselves to government resources with nothing less than a sense of entitlement. It is hardly surprising then that they were able to build such a vast wealth that allowed them to construct two dozen mansions and maintain a well-armed private army that few dared to cross. Neither is it surprising that when they felt that their hold on power over their turf was being challenged, the Ampatuans struck down without compunction their political enemies and anyone who came between them. We, the leaders of the Kaya Natin! Movement for Good Governance and Ethical Leadership, commend and laud the Senate blue ribbon committee led by its chair, Sen. Teofisto “TG” Guingona III, for investigating the anomalies of the past administration. We strongly believe that for our country to move forward in the proper direction, accountability to the Filipino people must be upheld by all government officials. Without this basic tenet of good governance, the culture of impunity and shameless corruption will continue to pervade throughout our government, leading to more poverty for our countrymen. The previous cases investigated by the blue ribbon committee such as illegal gambling (jueteng), the dubious plea bargain agreement between Ombudsman Merceditas Gutierrez and Maj. Gen. Carlos Garcia, the anomalous transactions of the former officials of the Philippine Charity Sweepstakes Office, and the purchase of second-hand helicopters marked as brand-new by the Philippine National Police allegedly from former First Gentleman Jose Miguel Arroyo are stumbling blocks on President Aquino’s “tuwid na daan” and should therefore not be left unresolved. We commend Senator Guingona and the blue ribbon committee for tirelessly seeking to find the truth behind these numerous allegations. We hope that Ombudsman Conchita Carpio-Morales and the Department of Justice led by Secretary Leila de Lima would take the necessary and appropriate action against those found at fault. We call on every Filipino to not be discouraged by the slew of anomalies being brought to light at this time. It is when good people leave the fight that evil prevails. Let us show them that the Filipinos are united in our fight against corruption and we would not rest until the perpetrators are brought to justice. 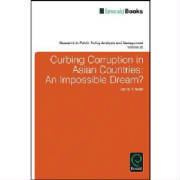 One reason corporate fraud is more common in Asia than in other parts of the world is the sheer velocity of economic growth throughout the region, wherein business development and expanding markets outpace that ability to install internal controls and meaningful organizational accountability. The intertwining of the personal with the professional tends to be more prevalent in Asia as well. MAP strongly believes that the Freedom of Information (FOI) Law and the Whistleblowers Protection Act should have been part of the priority bills of the Aquino Administration. For a more proactive anti-corruption vehicle, we encourage the Aquino Administration to certify the FOI bill and the Whistleblowers Protection Act as urgent; and we urge Congress to immediately enact the FOI Law to give the access to information heretofore hidden from public scrutiny, and the Whistleblowers Protection Act to provide the necessary protection for truth-tellers and whistle-blowers. Participation is exclusive to companies and organizations that signed the Integrity Pledge. With the goal of creating fair and competitive market conditions, the 1st Integrity Summit brings together local and global corporate leaders, anti-corruption experts, and senior government officials to present global trends in ethics compliance programs, as well as concrete ways to strengthen ethical business practices in the Philippines. As the Summit’s highlight, the private sector will launch the Unified Code of Conduct for business in the presence of President Benigno Aquino III. The venue can only accommodate 500 participants. Registration is on a “first come-first served basis.” Each company/organization can send two representatives. SHINE aims to initiate a “Collective Action” among ethical foreign and local business enterprises that are craving for the creation of fair market conditions for all market participants and willing to engage themselves in a business culture-changing process that will revolutionize how companies do business with government and with each other. Institutionalize the whole process to promote sustainability of the integrity initiative. The target groups of the initiative are business support organizations/chambers that are promoting transparency and ethical business practices, and foreign and local enterprises that have an interest in promoting ethical business practices. Read speech delivered by Ramon R. Del Rosario Jr. at the 3rd General Membership Meeting of the Management Association of the Philippines in Cebu.